In a circular letter dated April 23rd 2018, the German Federal Ministry of Finance (FMOF) repealed the German tax authorities’ previous simplification regulation for the so-called intra-Community movement of own goods in the border area (Section 1a.2(14) of the German VAT Application Decree [Umsatzsteuer-Anwendungserlass, or UStAE]). However, the tax authorities will not raise objections to input VAT deduction by the buyer if the supplier follows the previous simplification rule for transactions executed before January 1st 2019. Since 1993, the abovementioned simplification regulation (Section 1a.2(14) UStAE) has provided that, under certain conditions, suppliers from abroad can report an intra-Community movement of own goods with subsequent domestic supply instead of a direct intra-Community supply if there were regular cross-border supplies to a larger number of buyers. The simplification scheme was principally intended to facilitate the daily supply of fresh goods such as food and cut flowers or even newspapers to shops in bordering countries (or from abroad in bordering areas). When the simplification rule is applied, the supplier (and not the customer) reports an intra-Community acquisition in the country of destination, followed by domestic supplies to its customers. The customers – mostly small businesses with little tax expertise or even small businesses which are not treated as taxpayers – are relieved of the need to apply for a VAT identification number. Moreover, they do not have to report an intra-Community acquisition, but instead receive a “normal” invoice for a domestic supply, from which they can claim the input VAT deduction under the usual conditions. The supplier is relieved of the need to record the VAT identification numbers of all its customers and to provide proof of fulfilment of the conditions for VAT-exempt intra-Community supplies for each individual delivery of small quantities of goods, and is merely obliged to provide proof of the intra-Community movement of own goods. Originally, Section 1a.2 (14) UStAE (formerly Section 15b (14) of the German VAT Directives) required certain conditions to be fulfilled for the application of the simplification rule. In practice, the fulfilment of the requirements was often not questioned particularly critically by the tax authorities. The regulation was often applied and only subsequently obtained approval from the tax authorities involved. However, by 2012, the German tax authorities had abandoned this practice, which was in some cases quite liberal, and restricted the scope of the procedure. In a circular letter dated November 21st 2012, for example, the FMOF took the position that this simplification regulation had actually only been designed for cases in which the supplier uses its own vehicles to transport the goods and not, for example, those in which it engages a forwarding agent (transport by the customer was and is not provided for). For this reason, the simplification rule has been limited to cases of transport of the goods by the supplier. In addition, both the German and the EU foreign tax authorities had to declare their agreement even before the first application of this procedure – if the authorities were faced with a fait accompli, the simplification rule would not apply. 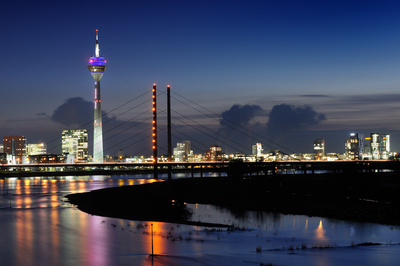 The German tax authorities have now completely abolished the regulation, in particular, with a view to avoiding the risk of a tax shortfall, which, according to the FMOF, the simplification regulation causes in Germany. For the purpose of the input VAT deduction by the buyer, no objections will be raised for supplies executed before January 1st 2019 if the taxable person performing the supply proceeds in accordance with Section 1a.2(14) UStAE, as amended. The final abolition of this simplification regulation as of January 1st 2019 will mean that both suppliers and buyers need to act. In practice, many suppliers make use of this simplification rule. From January 1st 2019, suppliers selling goods cross-border within the EU having applied the simplification should, therefore, revise their invoicing practice with regard to business customers (depending on the status of the customer, no German VAT to be charged, indication of VAT identification number, reference to the VAT exemption for intra-Community supplies, etc). In addition, they will need to take into account the regulations of the country of departure regarding documentary evidence in order to substantiate the zero-rate for intra-Community supplies. If the abolition of the simplification rule is not observed and wrongly applied, invoices with German VAT do not entitle the recipient to input VAT recovery. Buyers must therefore note that as of January 1st 2019, no input VAT can be deducted in these circumstances and corresponding invoice receipt processes must be adjusted. Categories: Tax Knowledge | Tags: cross-border, FMOF, German tax authorities, Germany, intra-community, transactions, VAT Application Decree | Permalink.